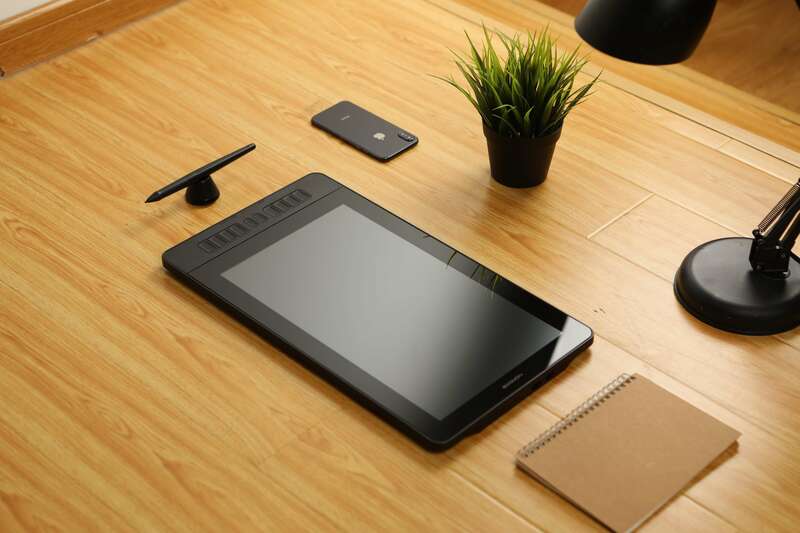 The digital pen/ stylus cannot move the cursor on some specific art programs, such as in Photoshop, etc, even though the driver says ‘device connected’. 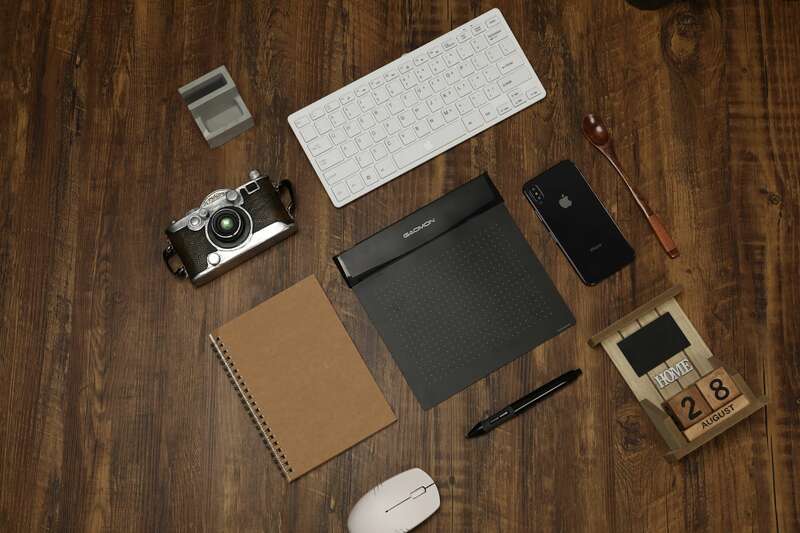 It may move the cursor on the desktop. 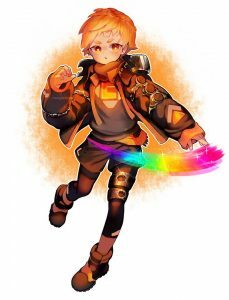 In this case, GAOMON driver will show as below picture. The driver says ‘Administrator privileges’ marked in red. Click to get details about how to fix ‘device disconnected’ when the driver says ‘Device disconnect’ at its left bottom corner. This step is to make sure step 3 to be successful. 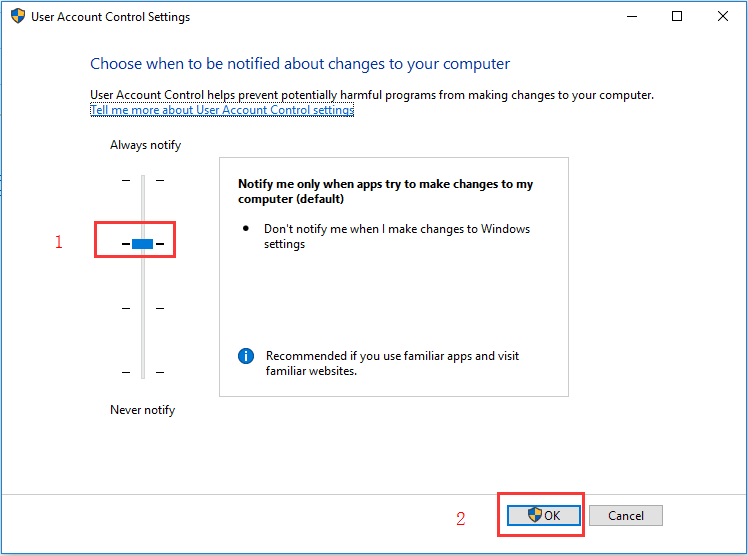 Drag the button marked as 1 to the second place and left box will change into ‘Notify me only when apps try to make changes to my computer (default)’ from the pop-out box, and then click ‘OK’ to save settings. 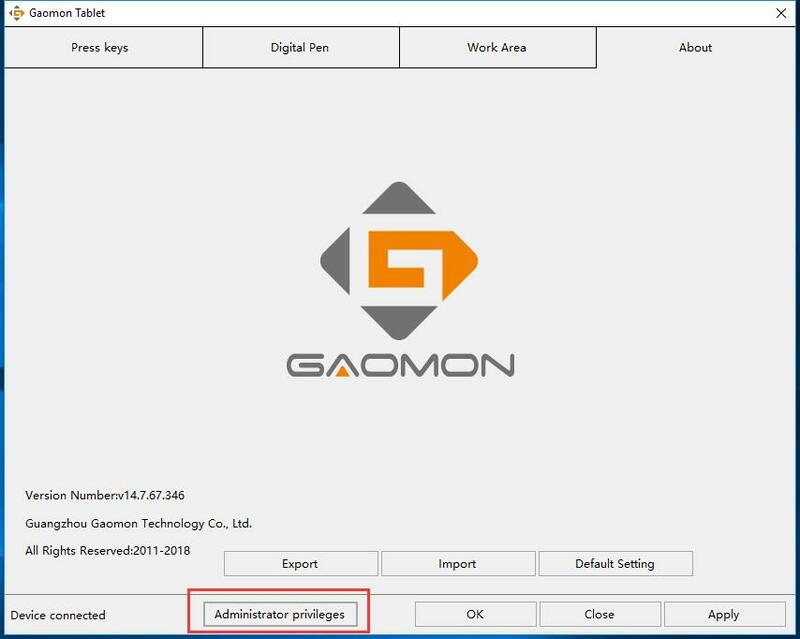 After the driver is given privileges successfully, ‘Administrator privileges’ will disappear from GAOMON driver interface. 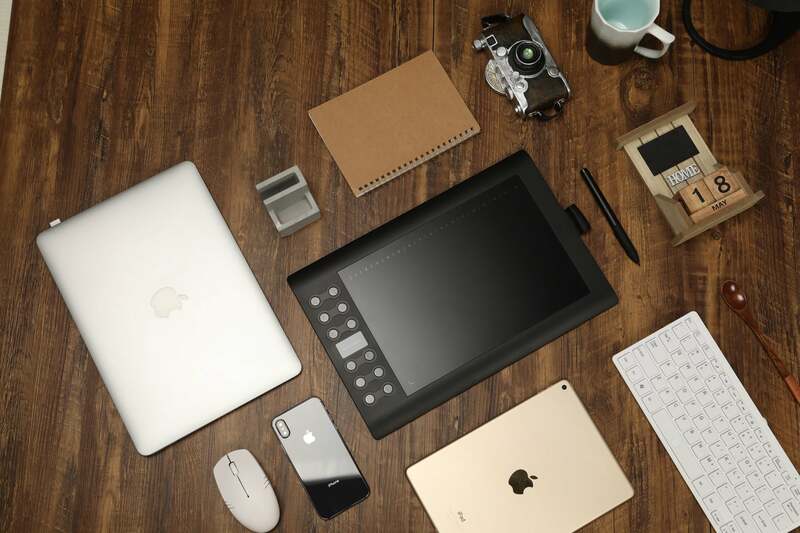 Then your tablet will work. 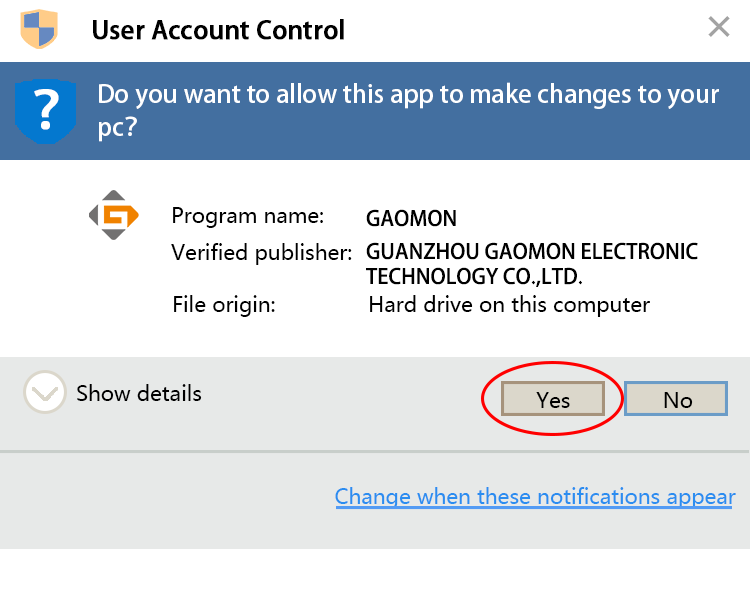 There are two methods to give GAOMON driver privileges to allow this app to make changes to your computer. 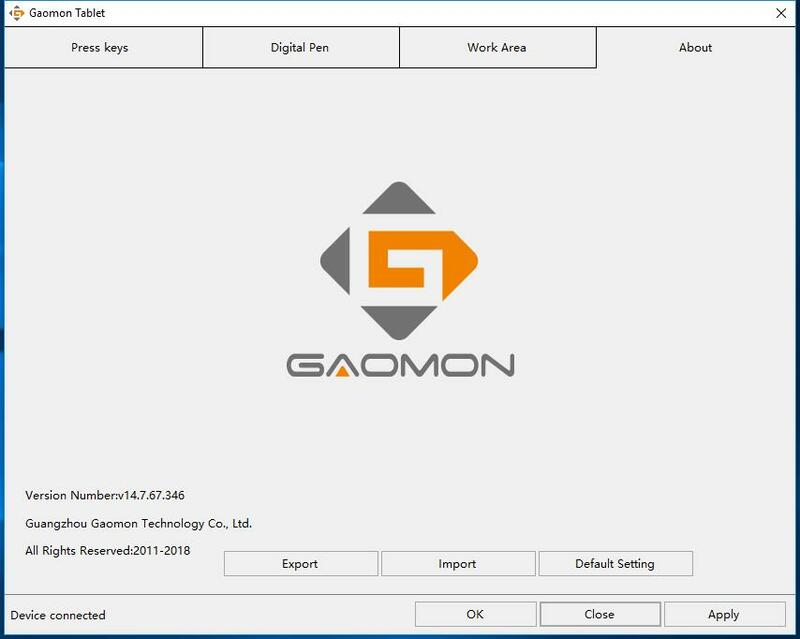 ONLY Right-click GAOMON driver in the system tray and select ‘Exit’ to stop the driver, but NOT clicking the X at the right upper corner of GAOMON driver interface to close the driver. 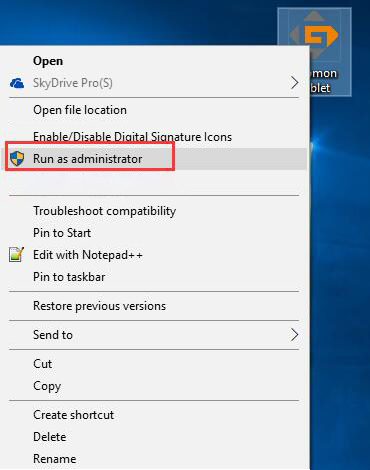 Start/ open GAOMON driver and it will say ‘Administrator privileges’ as below. The settings are all done. ‘Administrator privileges’ will not show on the driver interface when the tablet can work well.